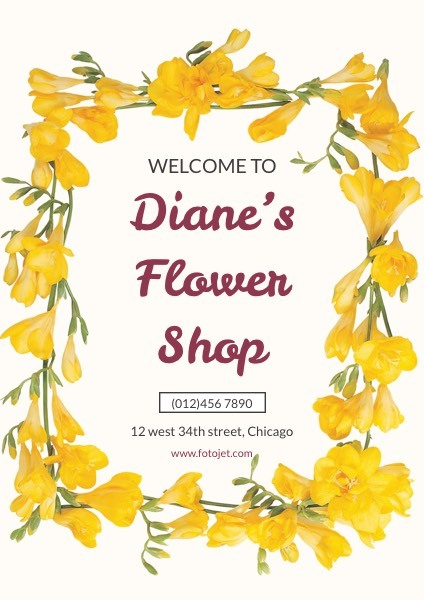 It is a challenge for some flower shop keepers to make stunning welcome posters without professional design skills. Fortunately, this problem will be easily solved by this well-designed template. This template with flower wreath in showy color will help you make eye-catching welcome posters that are easy to attract attention of the passengers.